The kippah, also known yarmulke, is the most apparent Jewish garb. 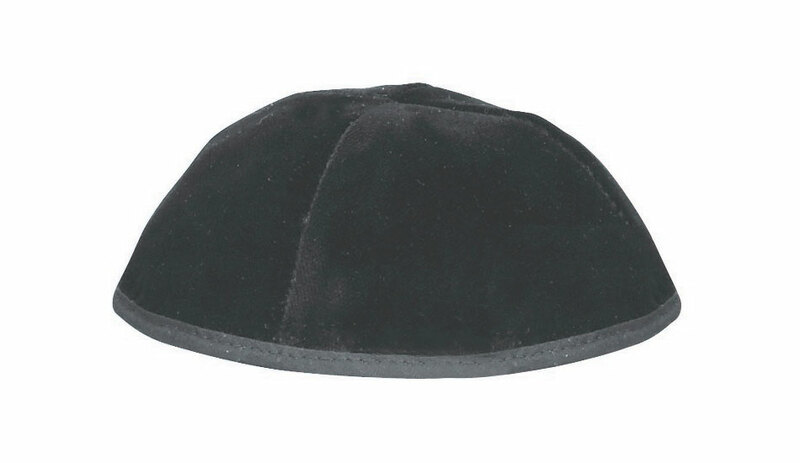 This kippah is made from four sections of black velvet cloth with a thin ribbon sewn on as a rim around the bottom edge. The kippah is available from size 2 through 9.